For the residents of Brownsville, Brooklyn, NY the presence of pests can be a real problem. Not only they’re annoying but they can turn to be a serious situation as many pests spread diseases. There are many kinds of treatments that go into the removal of such pests. However, using a professional pest control service is always the best solution. Our aim is to reduce the usage of pesticides as much as we can. We pride ourselves on utilizing safe methods for the same purpose. We also believe in protecting the environment, and therefore, try to use the eco-friendliest measures possible. For our clients who have problems with pest management at home, we provide a quarterly treatment plan where we treat their residence every 3 months. For other commercial spaces like restaurants and hotels, we provide more frequent treatment since the level of hygiene to be maintained is higher. Brownsville, and really New York City in general, is notoriously known for having a huge rat population. 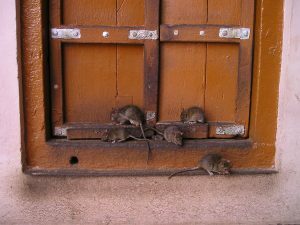 It’s estimated that rats outnumber the amount of people live in the city. Rats make their way into our homes seeking three things: food, water, and shelter. And a home has plenty of all three for them. On the surface rats are harmless; it’s extremely rare they will attack or bite anyone. However, they are unsanitary from crawling around sewers and trash, carrying disease and illness which can spread onto humans. Also, keep in mind that rats reproduce very quickly. So, whether you have only a couple in your home or an infestation the best thing to do would be to call a pest control company skilled in rat removal services, and have your place inspected. We will seal all the entry areas in your house to prevent them from entering again. These are common pests throughout all of New York City. Many homes will have some sort of roach problem eventually. 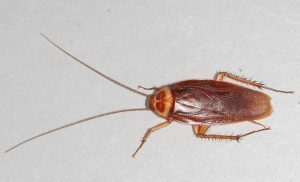 A cockroach infestation though can become uncontrollable very quickly as their rate of reproduction is very high. Like rodents, cockroaches are also so unsanitary from crawling around filth that they can transmit diseases too. These are usually looking for wet and moist areas in search of water. If your house has some leaky faucets or faulty plumbing, this can be a huge attractant for cockroaches. Sometimes you may see only one or two crawling around, but rarely are they the only ones in there. Roaches infest an area in large numbers. So, just because you only found a couple and killed them, doesn’t mean that’s the end of it. There are definitely more hiding somewhere in your place. A certified pest control expert will be able to get them all out. Controlling these pests is not a one-step process as it takes time. They enter your home through small crevices or cracks that are present outside. A house will provide them with all that they need, from food and water to shelter. It’s important to keep all of your food tightly sealed in containers, and seal off any gaps in doors and windows. Sometime even this isn’t enough to keep them out. When it comes to ant control, store bought products and DIY methods have proven useless. At best they will kill only the ants present at the moment. In worst cases, the pesticides being used can be harmful to you and your family too. The key is to attack them at their source in order to keep them out of your house for good. 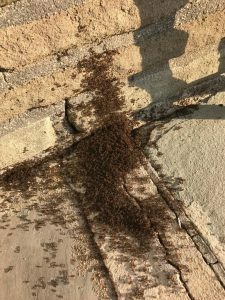 A skilled expert in ant removal will know the best course of action to take in order to achieve this. Most people probably fear bees and other stinging insects perhaps more than any other pest. Unlike ants or roaches, bees present a clear danger because of the fear of getting stung. For some people, getting stung will result in pain and minor swelling. However, for those allergic to bee stings, the results could be life-threatening or in worst cases even fatal. 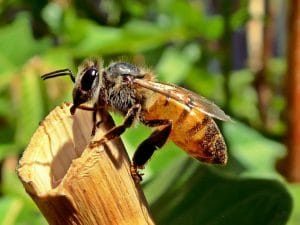 For these reasons you should try to remove bees or their hives yourself. Honey bees can be harmless, but hornets are extremely dangerous and aggressive, especially if their nests are disturbed. The removal of any kind of beehive requires professional skill and knowledge. Even though bed bugs are such a huge problem, especially in New York City, we hardly see them. That’s because these nocturnal insects hide within our mattresses during the day, and come out at night to feed on our blood. These blood feasts of theirs is what allows them to reproduce. That’s why it’s so important to get rid of them as soon as you know for sure that you have them. The longer you allow them to feed on you the faster they can reproduce, and the harder it will be to get rid of them. Bed bugs are one of those pests that are nearly impossible to get rid of on your own. It requires a thorough inspection, and special treatments in order to do so. 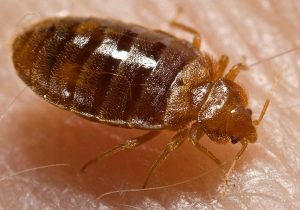 Our bed bug treatment begins with inspecting the area, and then implementing the best treatment technique suited to your particular situation. If you are in the need of pest control in Brownsville, NY then contact Bugged Out Pest Management today for our expert removal services. We will work with you in order to tailor a customized plan that will best address you needs, concerns, and budget.